Mar. 20, 2013- At 16:26 Fire Districts 39,47,34 Station 1 Rainbow for ladder 725, was dispatched to 2143 Montana Drive South Manheim Twp for a Chimney fire Chief 723 arrived on scene & found a chimney fire with extension into interior rooms & requested Station 4 to be dispatched for manpower to assist crews working at the scene. Crews were on scene for approx 1.5 hrs Chief 39 Had Command. Mar 17 , 2013 A neighbor called the stationt looking for assistance in lifting. A crew was contacted & walked across the street to the house and assisted the woman, Units were on scene for approx 10 minutes. Chief 735 had “Command”. Mar 16, 2013- At 10:42 hrs Fire Districts 47, 56, and Station 4 (Liberty) were dispatched to 6 South Greenview Rd. For a activated fire alarm. Crews arrived on scene investigated & found it to be a false activation Chief 4701 had command. Crews were on scene for approximately 1 hr. Congratulations To Station 1 Rainbow Hose company on the acquisition of the new Rescue 727. The Rescue is a 1995 Freightliner commercial cab, with the body done by American Fire & Rescue. The truck features a 5 man cab and is equipped with the following: 25 kw generator, 4 bank 6,000 psi cascade system, 12,000lb winch, and an electric simo motor for pre-connected hurst tools containing (2) 100ft reels, and lettering done by lettered by Dawn Sorakauch. The new Rescue is originally from Magnolia, Delaware. Rescue 727 has been in-service since February 24th, 2013. Photos via MLK. Feb. 27, 2013- at 18:26 Stations 1&4 were dispatched to 900 Schuylkill Mtn Rd. for a Motor Vehicle Accident with Injuries. Crews quickly arrived on scene to find a single Car vs. Tree. Crews assisted Medics with Pt Care and securing the vehicle. Crews were on scene for approx 1 1/2 hrs. Chief 722 Had Command. Photo via “Squid Cam”. Mar. 02, 2013- At 8:22 Station 4 was dispatched along with Fire Districts 47,56,and 42 to 97 Meadow Drive, South Manheim Township for a Chimney Fire. Engine 737 and Tanker 738 were quickly on the Road along with Chief 47 and 730. CHief 47 arrived on scene to find that the homeowner had the fire knocked down and the wood burner unloaded. 47-10 & 47-32 were the first apparatus to arrive and their crew begun to investigate the chimney. Engines 737 and 56-10 arrived at the same time and the crew from 737 went inside the structure and the crew from 56-10 went to the roof to investigate. Crews from Tanker 738, Engine 56-11, 42-30, and 42-10 staged on Meadow Drive. After investigating it was found that the fire was built up creosote that had ultimately burnt away. Crews were on scene for approx 1 hr Chief 47 Schuylkill Fire Had Command. Feb. 25, 2013- At 12:31 Stations 1 &2 were dispatched to the Area Of 1478 RT. 61S for a Vehicle Fire. Chief 720 quickly arrived on scene and had a working vehicle Fire with fire in the engine compartment. He quickly hit the fire with an extinguisher and knocked most of it down. Ladder 725 was next on scene followed by Engine 732. Ladder 725 placed an 1 3/4” handline in service to completely extinguish the remaining hot spots. Chief 720 Had command and units were on scene for approx 1hr. Feb. 24, 2013- At 15:47 Stations 1 and 4 were dispatched to 529 West Columbia St. for and MVA with Unknown Injuries. Units went responding they were given an additional of a Single car into a Pole. Chief 723(Motko) was first On Scene and confirmed 1 vehicle into a pole and no Injuries. Chief 730, Engine 737, Rescue 727 were next to arrive and they immedietly wen’t to work to secure the vehicle’s fluids and to check the pole. Crews then noticed that the pole had been sheered at the base and had Command notify the Borough Crew to come and take a look at it. Squad 739 and Fire Police 729 Units provided traffic control. UNits were on scene for close to 4 hours while the Borough Crew replaced the Pole. Chief 730 Had command. MLK Photos. Feb. 24, 2013- At 4:15am Station 2 was dispatched to 38 West Coal St.-Shenandoah Borough for a Working Structure Fire as a request from Chief 740. 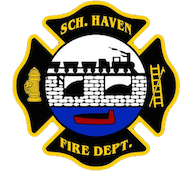 Chief 740 requested 1 Engine from bot Schuylkill Haven and St. Clair just after the 4th Alarm was struck. When Engine 732 arrived on scene they were put to work with Fire Suppression and Overhaul. Crews were on scene for approx 4 hours. Chief 730 had command of E-732.